I like the golden light at the end of the day, the strong sidelight allows you as a photographer to create beautiful images. 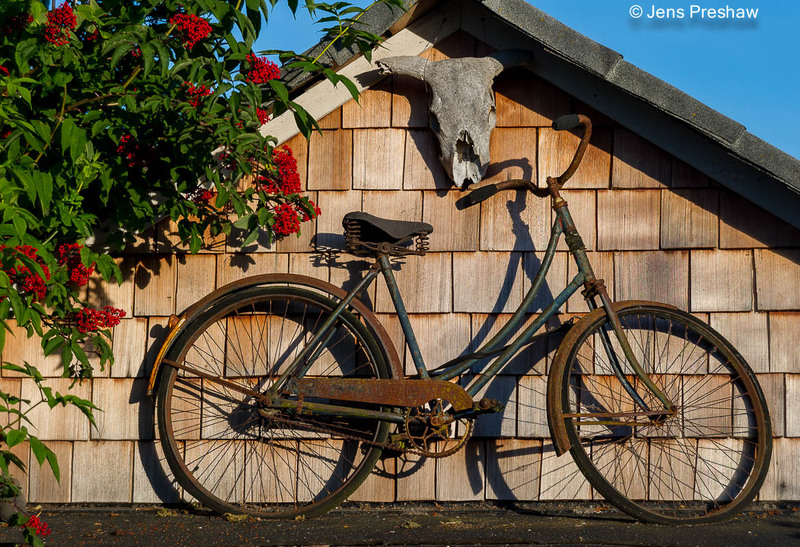 The combination of the rusted bicycle, the green and red berries caught my eye. Click on the image to see a larger version.